It’s finally here! Our first pattern! One of the things Lynn and I agreed on immediately was having a sense of fun in our quilt patterns, and re-invigorating classic blocks. We have a lot of the same references from pop culture, so we thought it would be perfect to draw inspiration from popular movies and music as we were growing up. So Stripper’s Knot is inspired by the Lover’s Knot block, updated as a fun nod to movies such as Flashdance and Pretty Woman. You can learn a little more about the quilt in this short intro video! Behold, my 1987 jean jacket. With this pattern launch, our shop is officially open! You’ll see other patterns pop up shortly. Because we know that stripped fabric can be a little intimidating, this pattern works conveniently well with fat quarters or 10″ squares (and fewer blocks to try out the technique!). 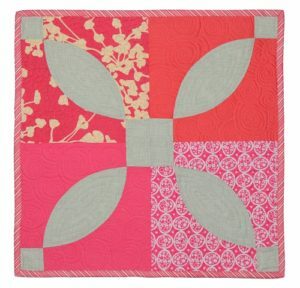 If you’ve got the Melon Block Template from Elisa’s Backporch Design, those will definitely help. If you’re like Pam and don’t have a bunch of specialty rulers, you can just use the printable paper template included in the pattern! There are a ton of pictures to show the process along the way, so you’ll learn how to sew curved seams and how to miter a border. 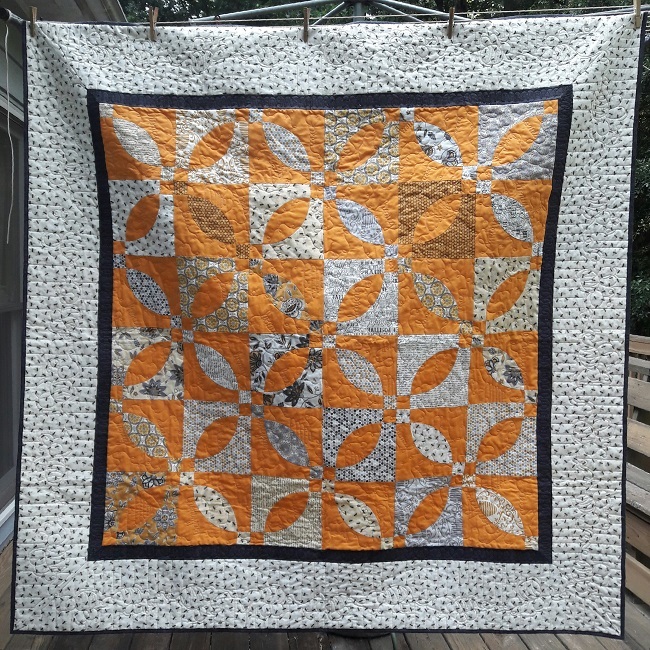 Of course, you can chuck all that out the window and just use a layer cake and a plain border to make the quilt like I did! If you’d like to check it out, visit the pattern shop! If you make your own version, share it with us on social media @TheStitchTVShow and #StrippersKnotQuilt! Cognratulations on the launch of your first pattern. It looks great and I am certainly keen to buy it and have a go at it. I don’t have the rulers so will have to go with the paper pattern. Hope you had a fun time at your launch and looking forward to seeing what else you have on offer over the coming months. Congrats on the launch, and what a fun design! Is the pattern a PDF or hardcopy? The online shop sells PDF versions! We’re working on print-on-demand capabilities so we can sell hard copies as well. Thanks! Good job girls. This long time listener and lurker is so proud of you for going that next step. Good luck and prosper. All our love and encouragement.